If you are tired of pressing the button inside your garage and jumping over the sensor on your way out, it may be time to schedule garage opener repair. Steel City Garage Doors is a company that specializes in garage doors including repairs and replacements. For nearly 25 years, we have completed garage opener repair for residential and commercial clients. When your business has halted because deliveries cannot be made or you are tired of the garage door always being a cause for concern, garage opener replacement is exactly what you need. Maintaining your home and business is important, and a key aspect of maintenance is paying attention to the condition of your garage door with services including garage opener repair in Pittsburgh, PA. 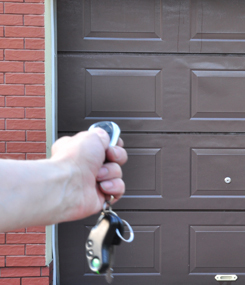 Contact us today to schedule garage opener replacement with our experienced professionals! We are pleased to serve clients in Pittsburgh, Canonsburg, and Mt. Lebanon, PA.